To get the results you want as a trail runner, you’ve got to do everything to avoid injury. Injury prevention starts with your running shoes. You need a shoe that keeps your feet and ankles strong and minimalist/barefoot shoes do a better job at transforming your foot’s strength better than traditional athletic footwear. It’s also very dangerous to run, especially on tricky trails, if you can’t feel the ground –it’s a nasty fall waiting to happen! The best way you can truly and clearly perceive your foot strike is again, running in barefoot running shoes because these shoes have a thin outsole that prevents you from being thrown off-balance when you are flying over uneven, rocky, slippery terrain. Because traditional athletic footwear are incredibly thickly cushioned, this may cause a runner to mis-perceive their foot strike orientation or stepping interaction and may end up heel striking, or striking too forcefully with the foot. So whats the best trail running shoe that provides optimal defence capabilities to help you maintain good mechanical running form, while protecting your feet from rock-induced abrasions? If you do some serious rocky trail running, especially in cool weather, you’ll love my Vibram Five Fingers Spyridon LS Review. Because of its aggressive tread, the Spyridon LS by Vibram really helps a tail runner meet the challenges of endurance trail running as the shoe is specifically crafted with full-blown rock protection upper and outsole, that is more protective than most Vibram barefoot running shoes. 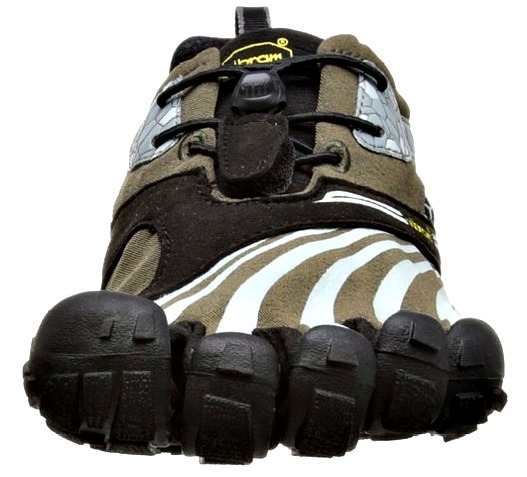 Despite the added armor of the upper and outsole, tactile stimulation on the soles of your feet is not compromised, so you can still connect more naturally with the ground better as compared with most tail running shoes on the market. The 3.5-mm rubber outsole of the Spyrdion LS is thicker than the Bikila’s , the KSOs and the non-LS Spyridon’s, but the Spyridon LS does a better job at protecting your feet from painful protrusions on the trail and road. In addition, the outsole of the Spyridon LS is highly flexible and facilitates natural foot motions and reflexes. Therefore, the overall design of the shoe is dedicated to improving the function and strength of the foot/ankle complex. The nifty outsole also delivers excellent traction on wet, slippery running surfaces, especially giving you more control in the mud. As for the upper, it provides full-rock protection and is slightly thicker than most Vibram barefoot running shoes as well, making it a great choice for a winter running shoe –even better if you marry the shoe with warm toe socks. 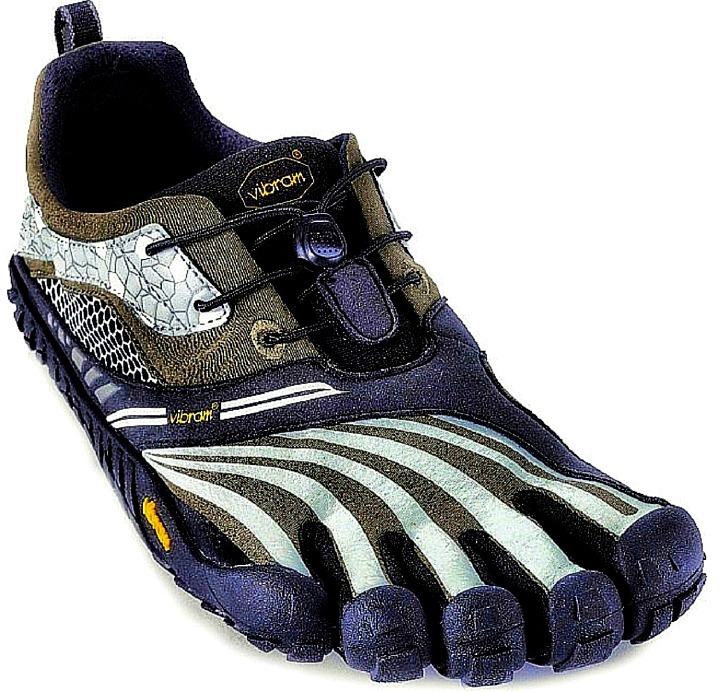 They are the Vibram SeeYa LS on steroids! 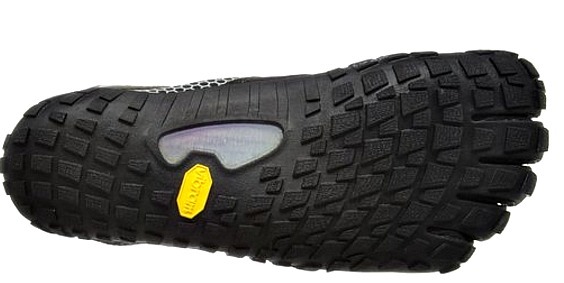 Overall, the Vibram Five Fingers Spyridon LS is supremely constructed with the added protection on the outsole and upper, with more traction, and with more comfort. For sizing advice, because they do fit like a glove, you should order a full size up from your regular shoe size. A bit suepsirrd it seems to simple and yet useful. I am just getting into card making and I really love the look of stitching; however, I had no idea how to do it until today. Thank you for the excellent tutorial. It is easy to understand and I am now looking forward to trying out the new technique. Thanks again. Hey I’m a single father just trying to make ends meet and trying to earn a little extra money to help support my two girls.ï»¿ If you could go toï»¿ the app store and download app trailers this is a great way toï»¿ make easy money! Youï»¿ can help support me by typing in my username: nickprovost in the bonus code under the category videos. Both you and I will get points that can be used towards prizes or earning money. All youï»¿ have toï»¿ do is watch videos and invite peopleï»¿ to get points. Thank you!